Project: Travertine Cleaning Menheniot near Liskeard Cornwall. This project was in a beautiful part of Cornwall called Menheniot, details at the end of this post. 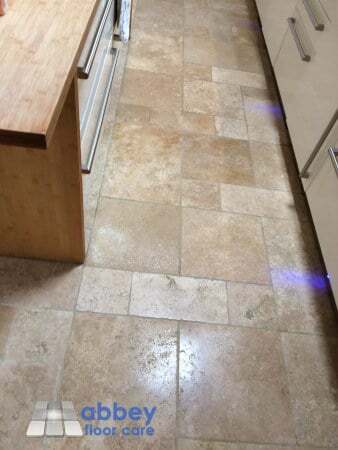 The customer sent some photographs of the floor, identifying it as a high quality filled travertine tile floor. The photos indicated that the tiles grout and filler was soiled and needed cleaning. 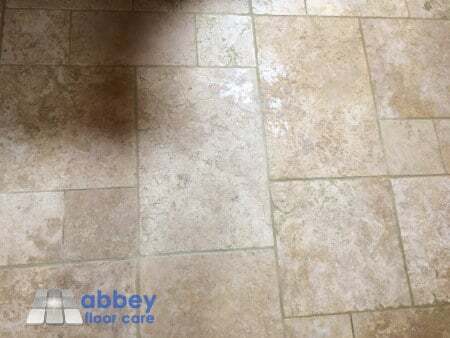 Our original quotation for the work was too deep clean the floor, fill any areas of lost grout and then seal the floor with a water based surface sealer. However, on arrival, I found that the adjoining dining room, hallway and lounge had the same Travertine tile flooring. The other floors were finished in a natural mid-sheen and sealed with an impregnating sealer. So I suggested we change the specification to hone the floor to a similar natural sheen and seal the floor with an impregnating sealer. 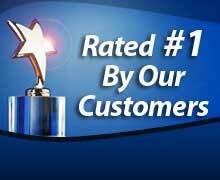 I started by cleaning the floor with a rotary floor machine, stone floor cleaner combined with our smooth cleaning sand. The sand works into the holes and crevices, helping to remove ingrained soil without scratching the surface of the stone. The rotary floor machine has a soft brush attachment that gently agitates special cleaning sand into the surface of the floor to release ingrained soil. We removed the remaining soil using our hot water pressurised rinse and capture equipment, leaving a clean floor ready for honing. We finished the floor to an 800 grit finish using diamond honing pads. The sheen was slightly less than the rest of the floor. So we lightly polished the tiles with 1500 grit diamonds. The 1500 grit finish gave the tiles the same natural sheen as the other floors. 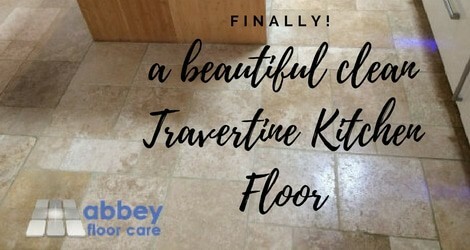 Although the kitchen floor now looks cleaner than the rest of the flooring. Finally, we sealed the floor with a high-quality impregnating sealer. The image above shows the floor after honing to a mid sheen finish. We suggested that once the sealer had dried and cured, it would be a good idea to wax the floor near to the cooker and sink with a thin layer of LTP Clear Wax. The floor wax will help protect the finish against strong chemical damage from cooking and washing splashes. Menheniot (Cornish: Mahunyes) is a civil parish and village in Cornwall. The meaning of the name is “sanctuary of Neot”. The village has a primary school, a pub, a shop and a post office. The village of Menheniot, lies about two miles south-east of Liskeard, close to the A38 and main railway line to the west of Cornwall. It is bounded on the north by St Cleer and St Ive, on the east by Quethiock and St Germans, on the south and west by Morval and Liskeard. This largely agricultural area has good, fertile soil. The area is also renowned for the quality of its slate. Lead was discovered in Menheniot parish in the 1840′s, the mining boom that followed saw the population double in a very short period of time. The enormous social consequences for the village were matched only by the dramatic physical change, with massive engine houses soon dominating the skyline. By the 1870s the boom had collapsed. The miners moved away causing the village to revert to the agricultural life that we see today. Menheniot had a population of 1,605 in the 2001 census.